D’Marie app is mainly designed for the users, where they can review their analytics and unique portfolio values from Instagram and also from Facebook & Twitter. Users can also make & convey sponsored substance (i.e. images tagged with item links) specifically from this application to each of the three social platforms. 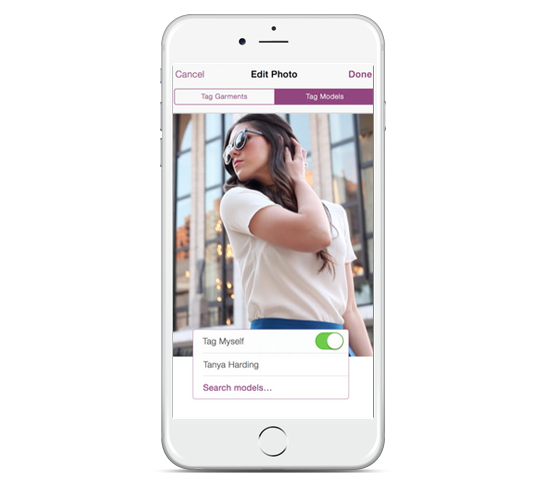 D’Marie app is designed for fashion influencers to measure, manage and monetize their social media portfolios. Our curated network of users is open to models, fashion bloggers, artists, musicians, actors and public figures who often create sponsored social media content. 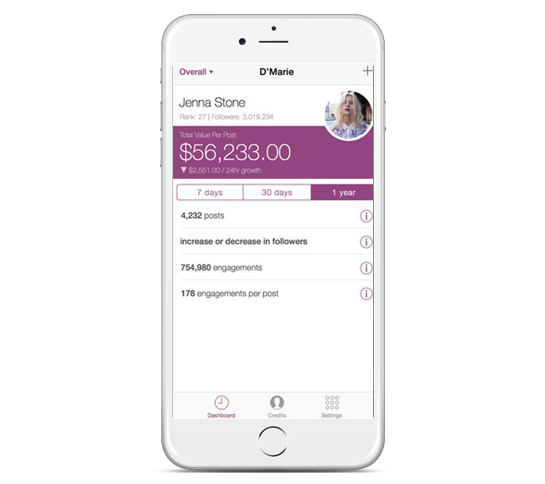 In this app, users can review their aggregated analytics from Facebook, Twitter and Instagram as well as measure their unique portfolio values. Users can create and distribute sponsored content (i.e. images embedded with product links) directly from this app to all three social platforms while automatically abiding by all FTC regulations for distributing sponsored posts. 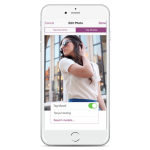 Your D’Marie profile will enable casting directors and brands to easily discover you and contact your agency for social media campaign castings. The D’Marie application has been brilliantly designed to deliver a user-friendly User Interface. Despite of the intricate nature of the app where users are suppose to interact with multiple features at a time, the UX of the app remains extremely sleek and organized. 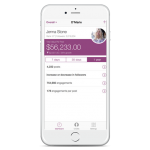 Hence, the application’s simplified features and well-curated design elements allows the user to view. D’Marie had a unique idea to get social statistics from Instagram as well as from Facebook and Twitter through mobile. 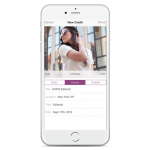 the mobile app helps to post the credit to Instagram and grab the social statistics from it. Also one can able to post the credits to Facebook and Twitter. While tagging the sponsored link to the image with the exact coordinate points irrespective of any image sizes, device as well as web to display. We did not use any third party library to calculate the exact tagged coordinate points of the sponsored links in an image. We developed our own logic to get the exact points. We calculated the the aspect ratio of the tagged point with respect to the image size and the image view size. Then we generated the x coordinate and y coordinate points. We sent all these data to server and in web that image have the exact tagged points for the sponsored links. 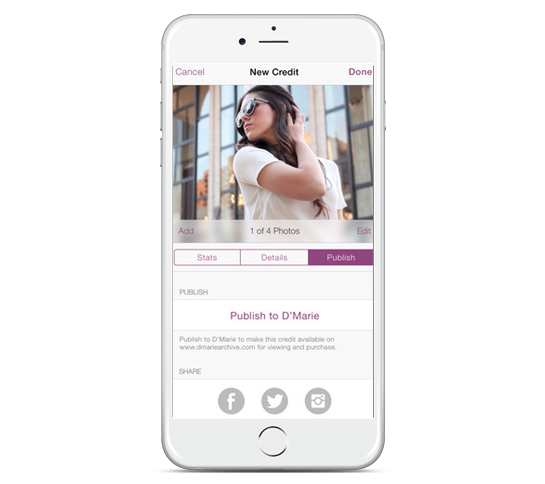 In D’Marie, We integrated InstagramKit library in the project and allowed the app to authenticate and post the credit to Instagram. The InstagramKit doesn’t provide the facility to post the credit directly. 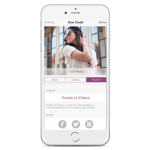 So, we used OpenUrl functionality, through which we navigated to Instagram App with copied the text using UIPasteboard available in UIKit Framework and post the credit to the available Instagram app. We achieved the credit post and got social statistics from Instagram with the use of Instagram Kit. This mobile app post the credit to Instagram and web to got the social statistics from the Instagram and also backend API endpoints as required for some functionalities.